For more information, please contact listing agents Heath Gran 605-209-2052 or Scot Munro 605-641-6482 with Great Peaks Realty. 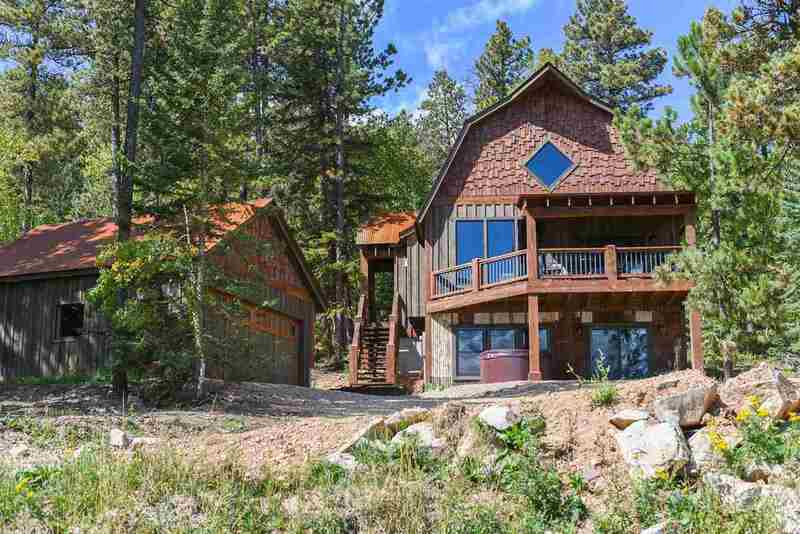 Incredible, fully furnished turn key cabin at Gilded Mountain! 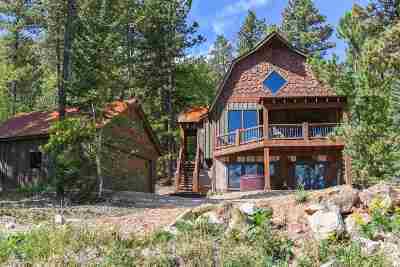 This 4 bedroom cabin is located close to ski resorts and other Black Hills recreation, one of the most relaxing atmospheres in the Hills! Plenty of storage inside the detached 2 car garage, enjoy the views from the covered decks and relax in the hot tub from your patio right off the walkout basement! Here you will find true rustic charm, an open layout, vaulted ceilings, quality hardwood floors throughout, gas fireplace ambiance in the living room, a spacious master ensuite with a soaker tub and double bathroom sinks! The walkout basement features two bedrooms, one with built-in bunk beds, full bathroom and a wet bar! Give us a call for your private tour today! Garage Size: 528+/- Sq. Ft.